Limited & Numberd Edition to 500 pieces worldwide. Large Case Diameter. Silver dial with Raised Arabic Numerals & Hands. Features an Automatic Movement with a 7 day Power Reserve. Power Reserve sub-dial indicator at the 3 o'clock position. 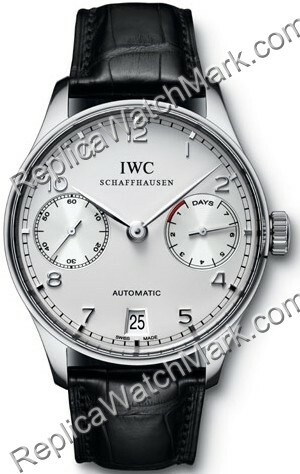 Small Seconds sub-dial at the 9 o'clock position & the date window at the 6 o'clock position.